Join Save the Rain for our first rain barrel workshop of the season on Tuesday, May 19, 2015 from 5:30-6:45 pm at the Beauchamp Branch Library at the corner of Colvin and Salina . There will also be workshops as part of the Westcott Art Trail and Strathmore Art on Porches events in June. Workshops are open to all. 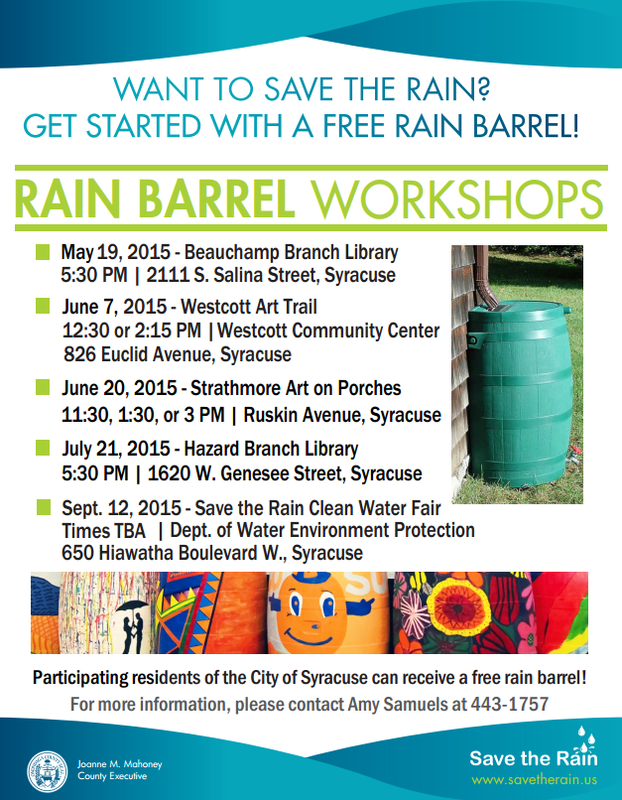 Residents of the City of Syracuse are eligible for a free rain barrel. Email Amy Samuels at asamuels@oei2.org with any questions about the workshop.